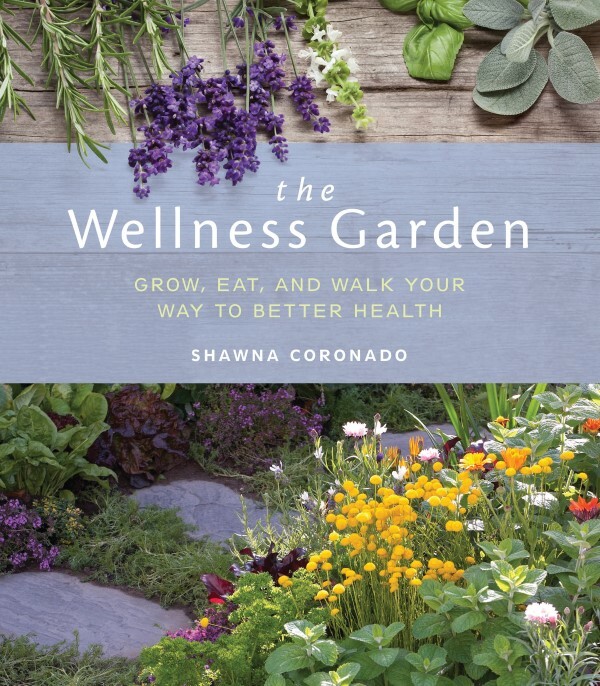 At Garden Therapy, we’re big believers in the healing power of gardens as well as big fans of gardener extraordinaire Shawna Coronado, so of course, we are super excited about her book The Wellness Garden: Grow, Eat, and Walk Your Way to Better Health, which is all about healing in the garden. Today, Shawna has been kind enough to share with us her tips on designing a wellness garden at home. Be sure to check out her book for a ton of other information about designing, planting, and healing in the garden. 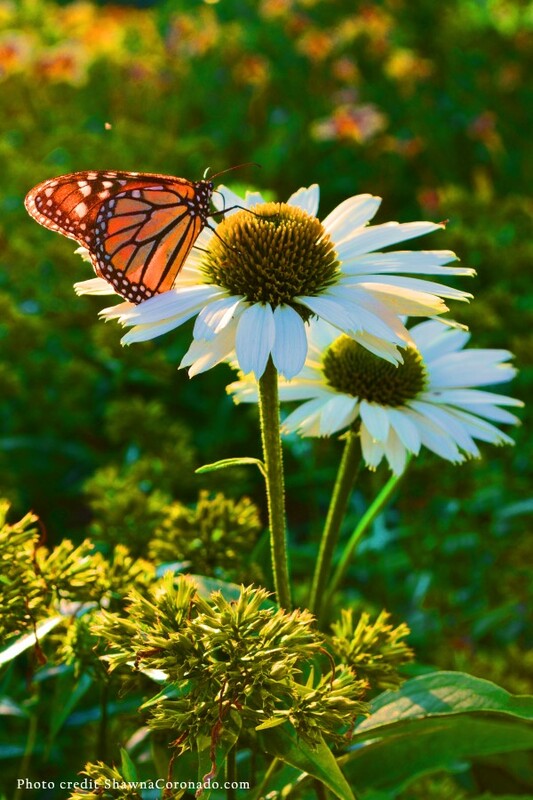 You do not have to be ill or in pain to discover the benefits of a therapeutic garden. You need merely step into the garden to feel its positive effects on your physical and mental health. While a large or commercial therapeutic garden at a facility might be formally designed and structured by horticultural therapy design professionals, it is definitely possible for you to assemble your own less formal design for your patio, walls, or balcony using a little common sense and intuition. You can bring wellness to your home garden without a whole new garden design. 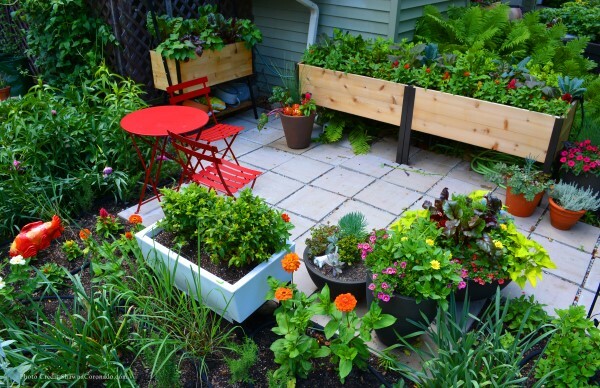 All you need is to incorporate a few simple ideas to make your current home garden into a more therapeutic space. Bringing more wellness into the garden is usually a collaborative effort. Bring your family and neighbors together and define what it is that you want from the garden. Make a list of the three top items which are most important to you based on your health concerns, then incorporate that simplified list into the final design. 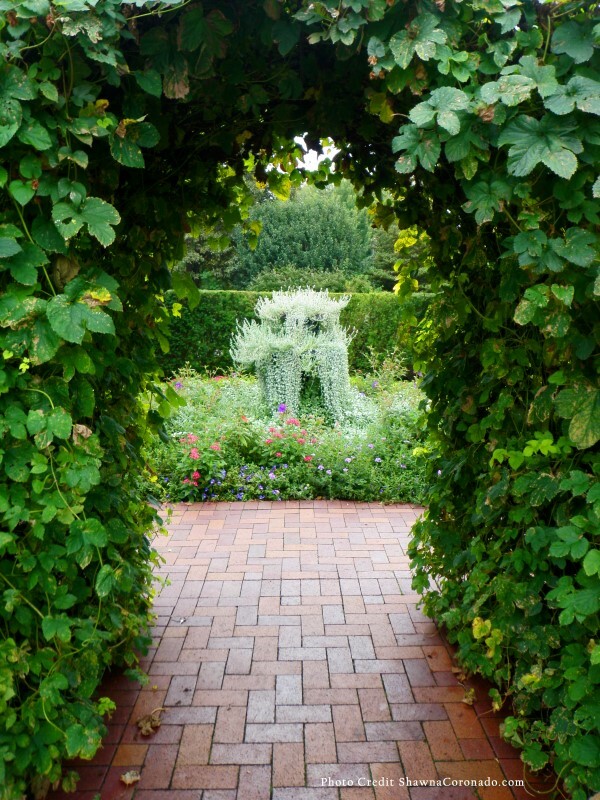 Once the basic goals are understood, then it is possible to prioritize design features such as fountains, pathway needs, and types of plants to be used in the garden. For backyard or side gardens, unify the areas by including hardscaping—paths, patios, and seating areas, for example—that your planting beds will surround. Once you have determined your hardscape and bed design, then consider adding some plants with texture, shape, variety, color, aroma—anything that adds therapeutic value. One surefire way to add an element of wellness to your garden is to do nothing! 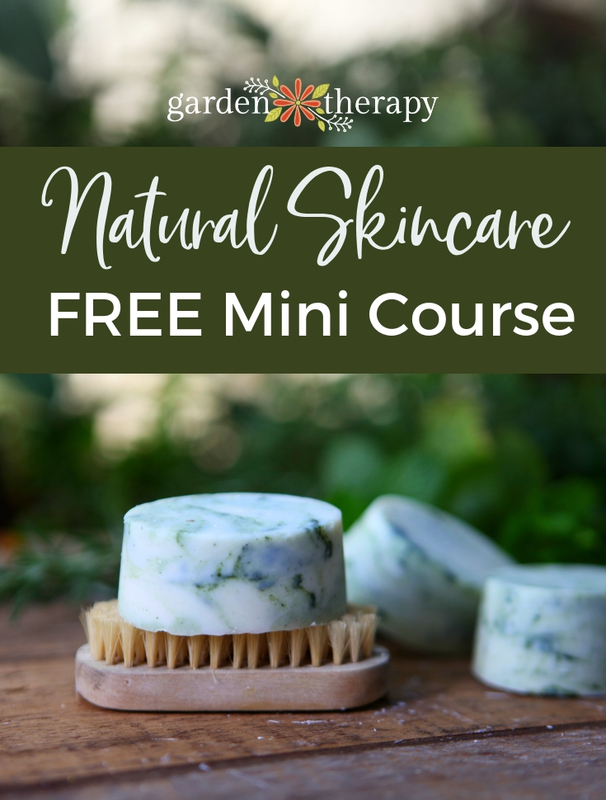 Simply leave your garden natural and don’t add any products that contain chemicals. All healing gardens should be organic in nature and have non-toxic plants so that all guests can feel safe and be encouraged to touch anything. Having a garden that is organic is also important so that it is environmentally friendly. Use natural materials in your garden area which will promote health and are safe for the environment. Materials like pots or edging should not be treated with chemicals. This attentiveness to safety in a garden area where people will be touching, smelling, and consuming plants is critical for wellness. Again, make it easier on yourself. Grow drought-tolerant plants and only water when you need to. While it is acceptable to plant a garden which might be a water waster, it makes sense for ease of maintenance and the environment to build a garden that has lower water requirements. 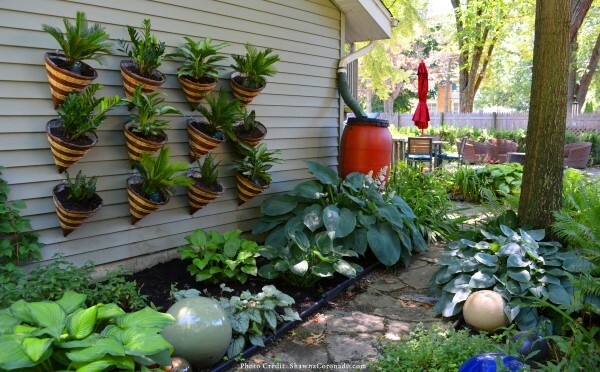 Use a drip system and place plants with similar water requirements together. Your garden should address specific healing needs and accommodate and support any limitations gardeners or garden visitors might have. While having a beautiful or visually pleasing garden is important, make sure that your garden design is functional. For example, provide wide and open pathways, have plants that address the specific needs of the garden visitor, and make sure that the garden is safe for visitors and gardeners. 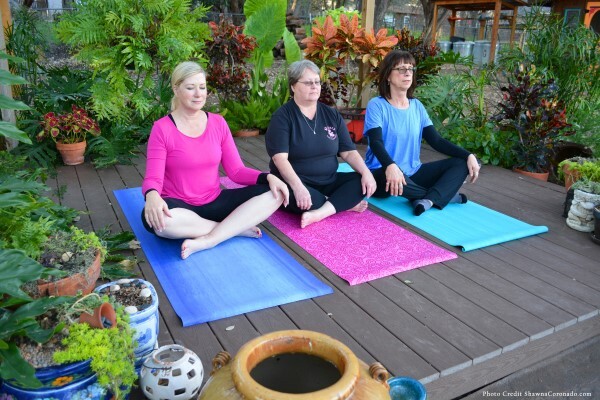 Jenny Nybro Peterson in Austin, Texas has this beautiful yoga garden, complete with a spacious platform with plenty of room for sun salutations. Having an elaborate or difficult-to-maintain garden will countermand your basic need to have a garden that is enjoyable. Create a garden design that is easy to look after and sustain. Plot your expenses for the garden to keep your design cost-effective. With smart planning you can reduce, reuse, and recycle garden art, pathway material, and garden furniture to keep costs down. It is not necessary to build the Taj Mahal in your backyard: keep it small and effective. Printed with permission from The Wellness Garden: Grow, Eat, and Walk Your Way to Better Health by Shawna Coronado, © 2017. Published by Cool Springs Press. Photography © Shawna Coronado 2017. 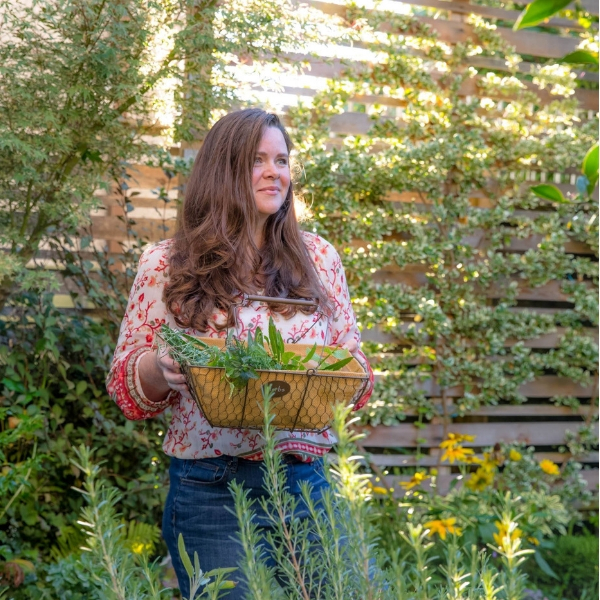 Shawna Coronado is an author, columnist, blogger, photographer, and spokesperson for organic gardening, culinary preparation, and green living who campaigns for social good. Shawna’s goal in authoring gardening and green lifestyle books is to promote a world initiative to encourage healthy and sustainable living. Shawna was featured as a Chicago Tribune “Remarkable Woman” and speaks internationally on building community, simple urban garden living, and green lifestyle tips for the everyday person. 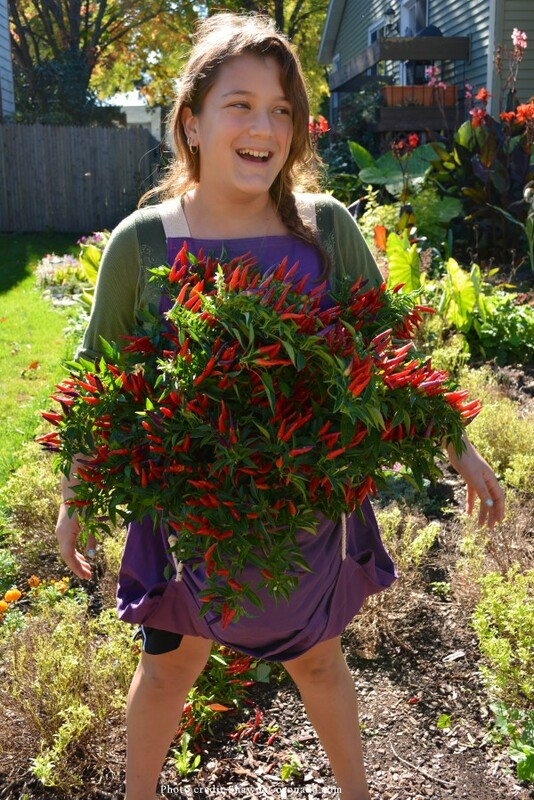 Shawna lives in the western suburbs of Chicago where she has a famous front-lawn vegetable garden. You can learn more about her at www.shawnacoronado.com. I think it is also important to incorporate plantings and other features that address our five senses of sight, smell, hearing, taste and touch. And to find ways to maintain and improve your garden that doesn’t stress you out. You can’t use your garden to get well when all you think about is the weeds that need pulling or the lawn that needs mowing or how you don’t have enough time to do everything you need to do in the garden. What a wonderful, informative and interesting post. I can’t wait to make a start on my garden and to try out some of the ideas from here. I’ve signed up for future newsletters and I’m looking forward to receiving them.